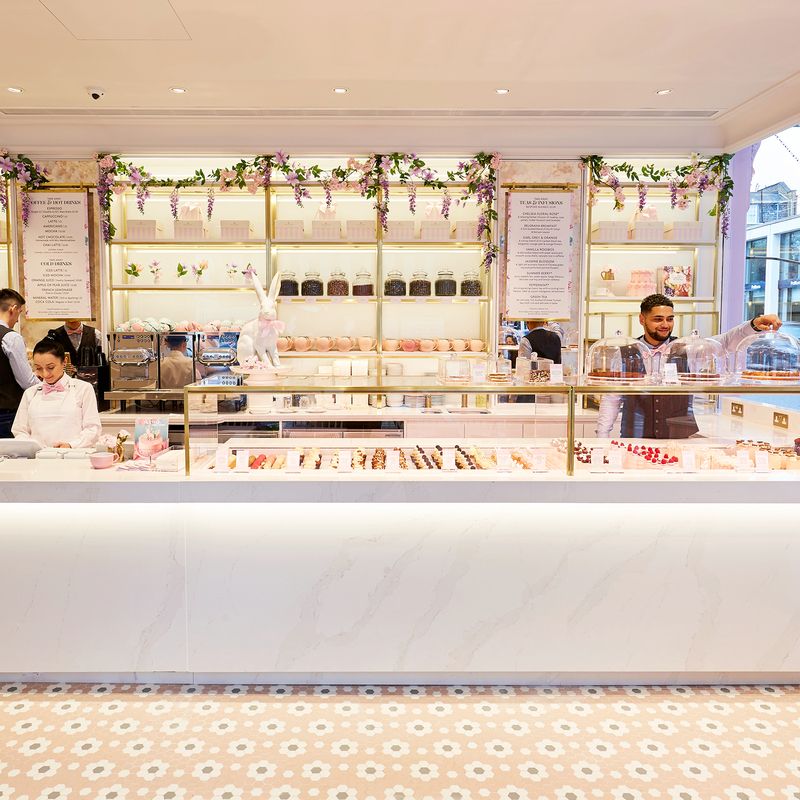 Chelsea is in for more than a treat this week as Peggy Porschen has officially opened its doors to its second outpost and new flagship, nine years after launching in Belgravia. 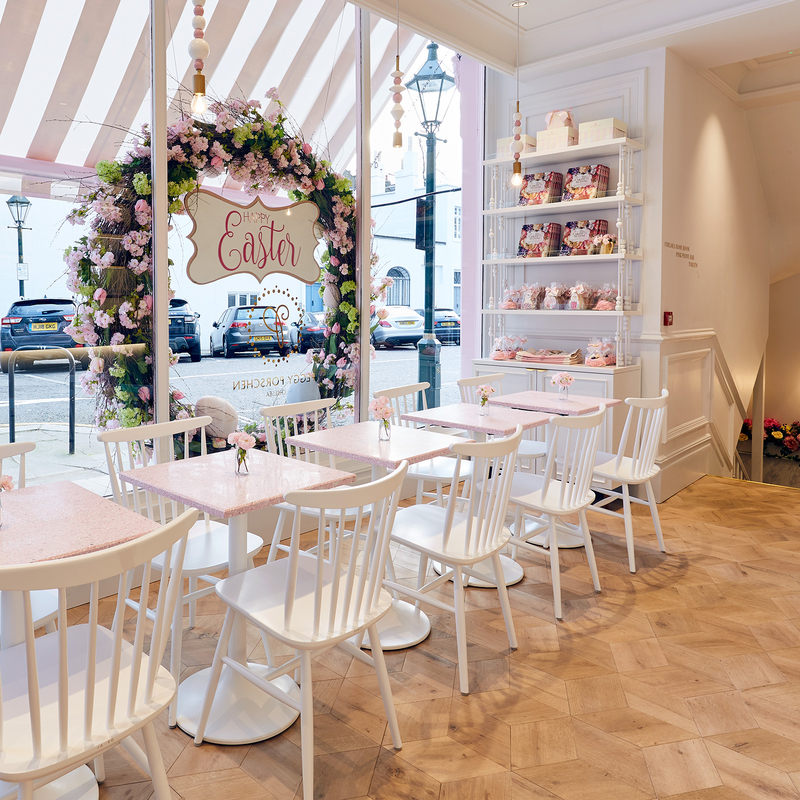 With its attractive corner location at 219 King’s Road, the new Parlour, complete with a cocktail bar, enjoys a prime position in the bustling heart of Chelsea. 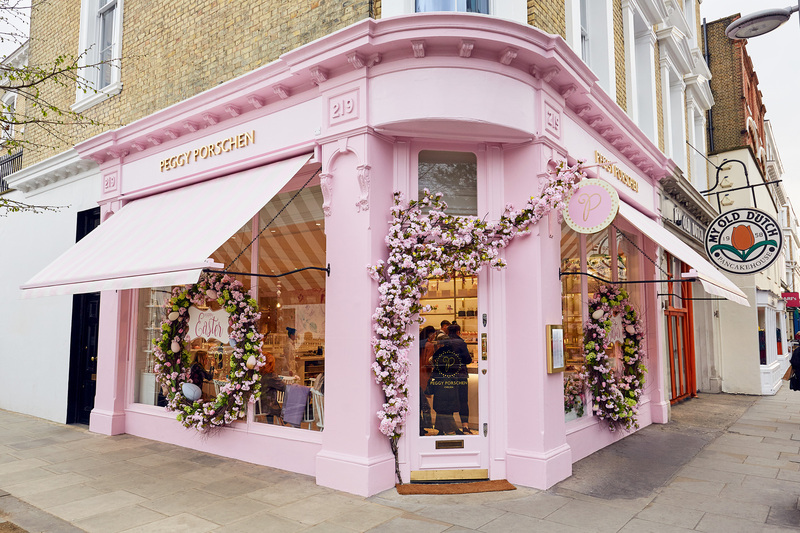 In time for Easter, the floral display dramatically announces the Parlour’s Easter Collection launch, suitably matching the ‘Insta-famous’ arches and striking fairytale pink facade of its Belgravia sibling. The Easter collection will have plenty of treats for visitors who can expect an abundance of Easter Bunnies, beautiful blossoms and chocolate nests. 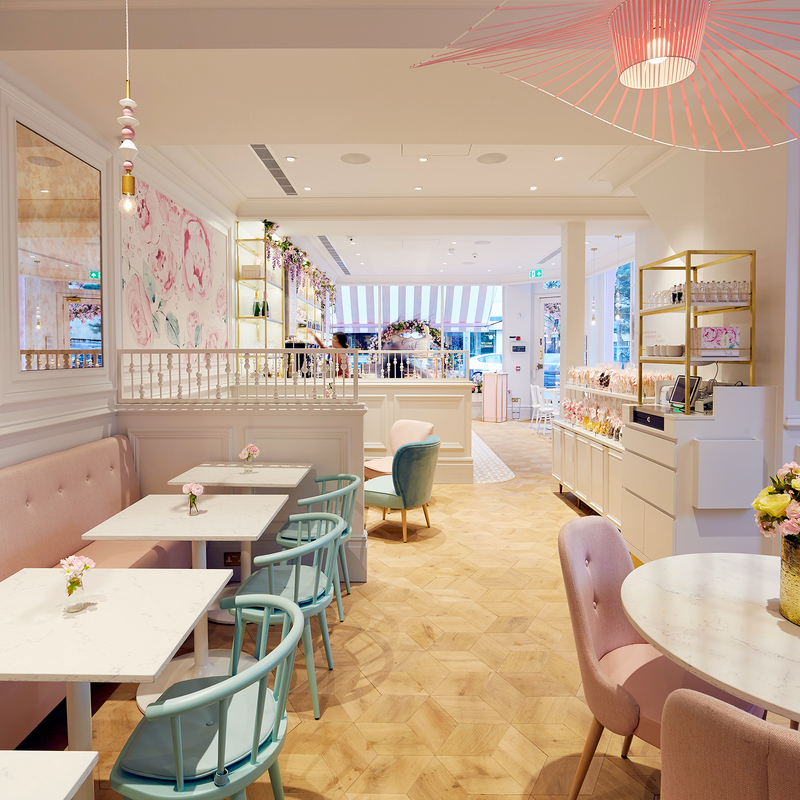 Founded by cake maker to the stars Peggy Porschen and husband Bryn Morrow, the Group’s new venture continues and grows the success story of its Belgravia location, whilst also welcoming a new ‘All Day Dining’ concept and private event space. 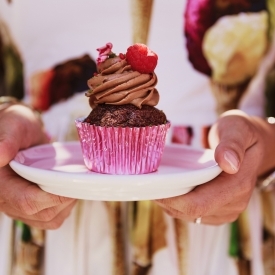 As well as the dreamy sweet treats and picturesque interior decor, cake lovers can see one of Peggy’s resident cake artists at the live chef station. Witnessing their magic in award-winning sugarcraft and decoration techniques first-hand will add to an immersive and enjoyable experience. 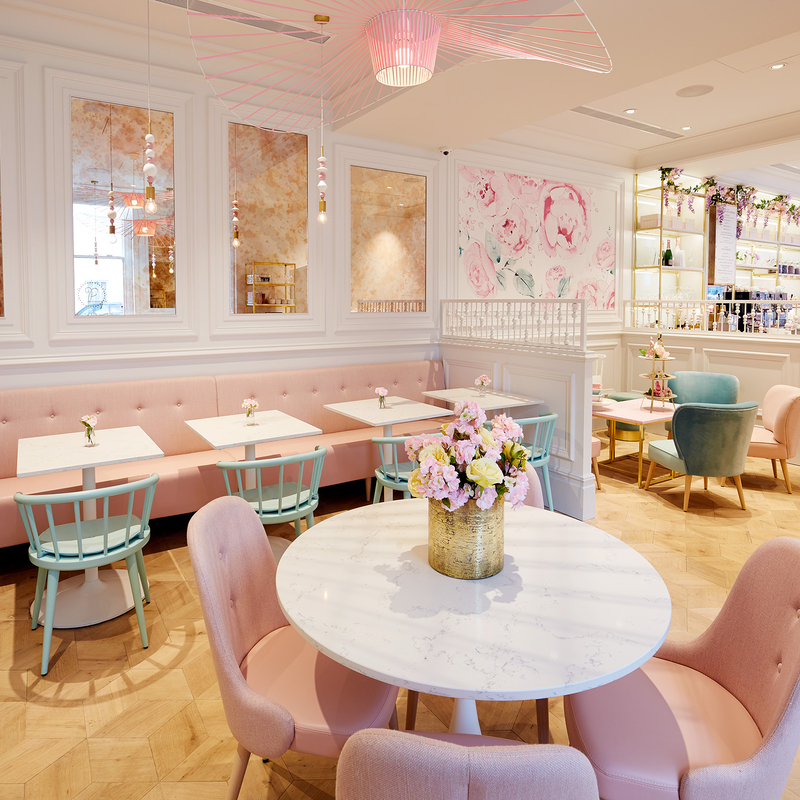 From morning coffee and freshly baked cake in the Café, through to evening drinks in the Pink Peony Bar, menus are seasonally inspired. 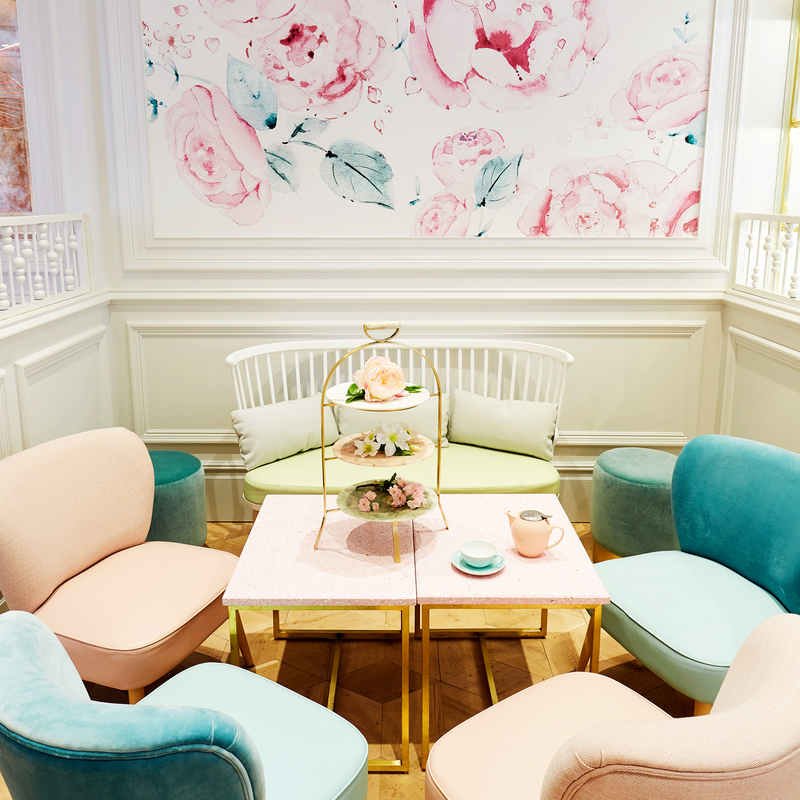 Visitors can enjoy the Peggy Porschen experience across a number of pretty rooms over two floors from 8am – 8pm, seven days a week. 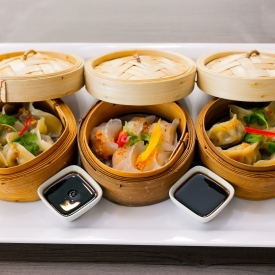 The Chelsea Rose Room offers dedicated private hire event space, and the all-day dining menu with full savoury offerings across breakfast, lunch and dinner will launch in Spring/Summer 2019.